The Islamic Development Bank (IDB), in its capacity as Coordinator for the Program of the Gulf Cooperation Council for the Reconstruction of Gaza, has reportedly re-programmed and signed a $40 million agreement with the United Nations Relief and Works Agency for Palestine Refugees in the Near East (UNRWA) for reconstruction of Gaza homes, an UNRWA statement said on Thursday. According to WAFA, the revised agreement will now include the shelter repair and reconstruction of at least 1,000 housing units across the Gaza Strip for families whose houses were damaged or destroyed during the 2014 Israeli war on Gaza. As a reprogramming of funds from a previous agreement signed in 2015 and with a Master Plan for camp improvement in place, UNRWA will prioritize Deir El-Balah residents, especially displaced refugee families that are being hosted by others in Deir El-Balah as a result of destroyed homes. The agreement to re-program funds from the Gulf Cooperation Council through IDB is in response to UNRWA’s continued urgent appeals to donors to generously contribute to its emergency shelter program to provide displaced Palestine refugees in Gaza with rental subsidies or cash assistance to undertake repair works and reconstruction of their damaged homes. 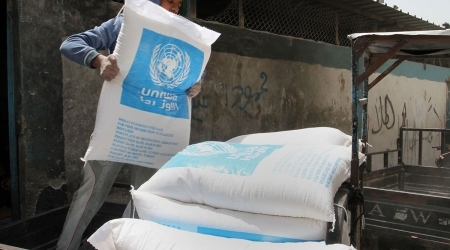 Without the full funding to complete the destroyed homes caseload, UNRWA is projecting to require between $12 and $15 million in contributions for Transitional Shelter Cash Assistance. There are currently approximately 5,900 families eligible for TSCA.